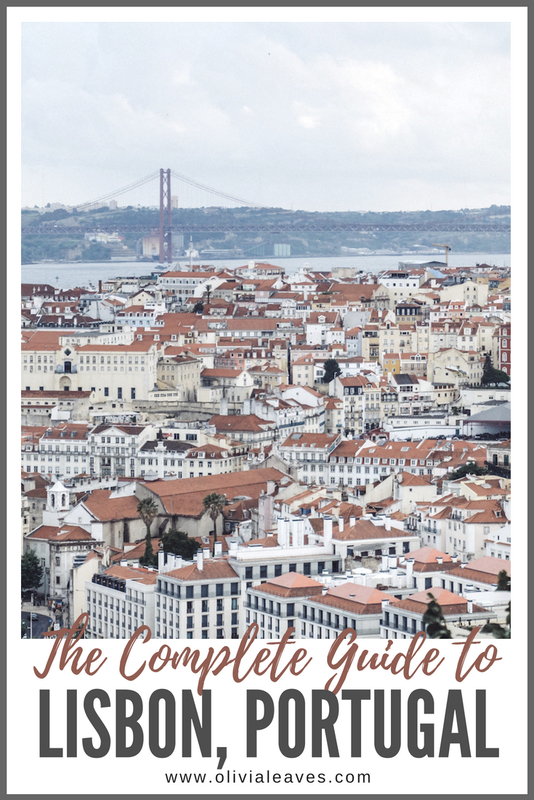 Looking for a complete Lisbon travel guide? 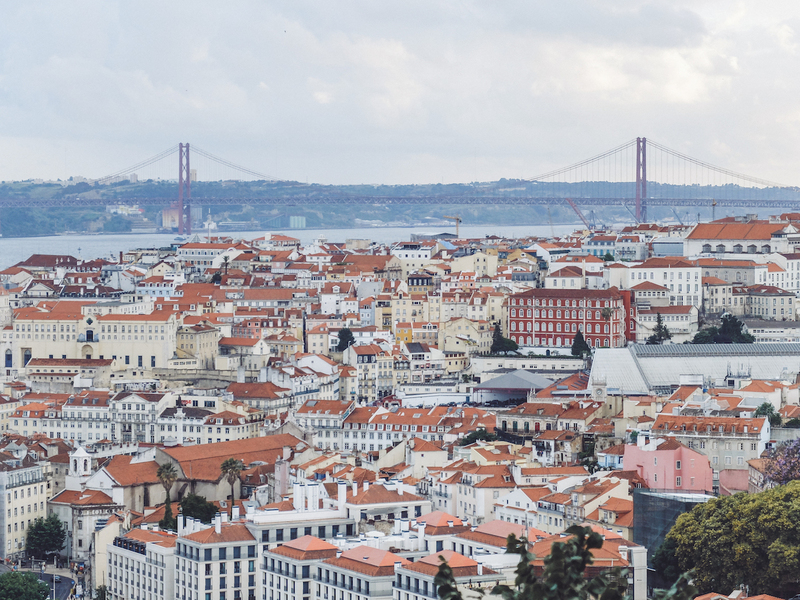 Here are 29 things to do in Lisbon! I’m a big fan of Portugal. In fact, I’ve been four times! 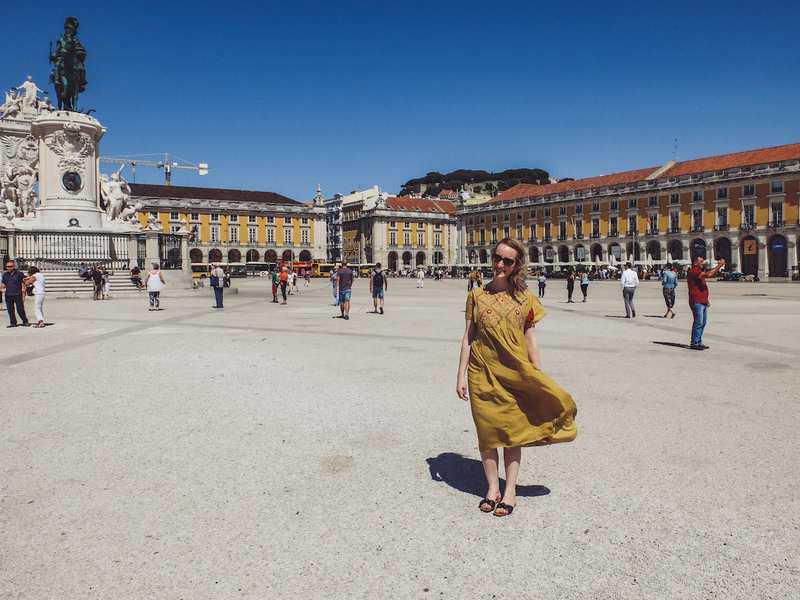 I can’t believe I haven’t written anything about Lisbon sooner, but three visits to the city means I’m pretty confident about this itinerary. 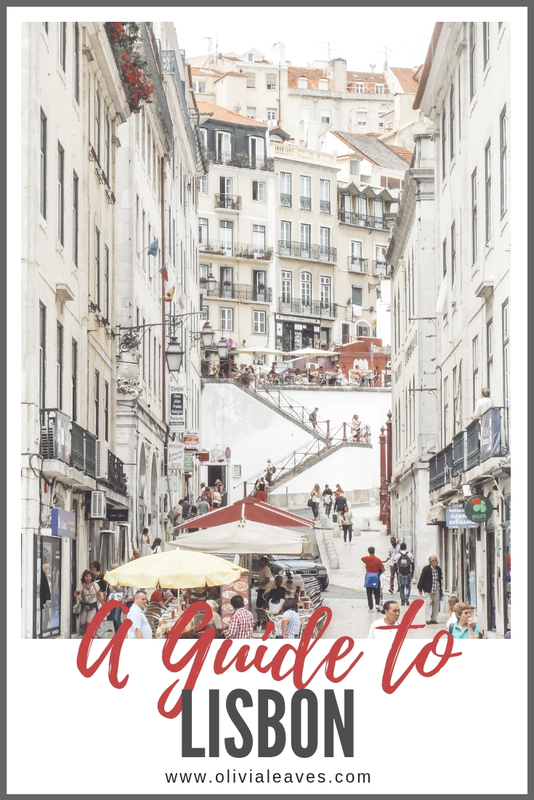 I’ve gone through all my photos, lists, guides, and emails I’ve sent to friends (because everyone wants to go to Lisbon!) and have a long list of favourite things to share with you. 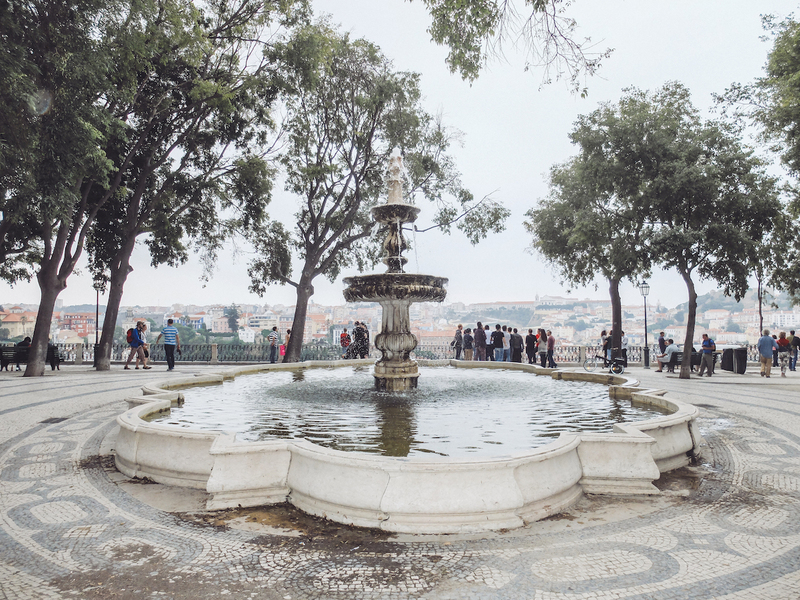 There is so much to see and do in Lisbon, whether you want to hit the pavement and soak up all the history, or relax with some wine and a view. 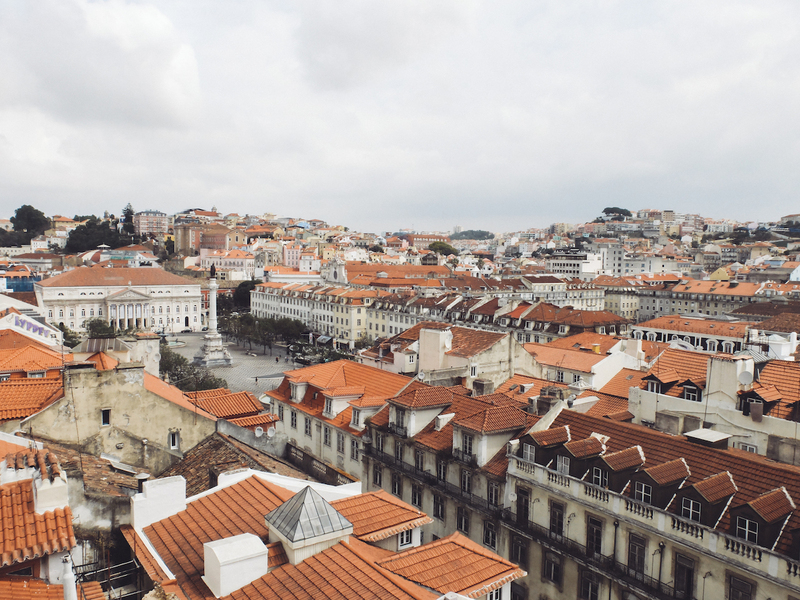 Here are my tips for what to see, where to eat and drink, and how to get around Lisbon. Starting with what’s important, right? Each one of these gets a little further away from the city, but they’re all worth the trip! This medieval castle sits at the top of the in Alfama, Lisbon’s historic centre. It’s very popular tourist attraction, but boasts unbelievable views from the top. I was blown away wandering through this former monastery. 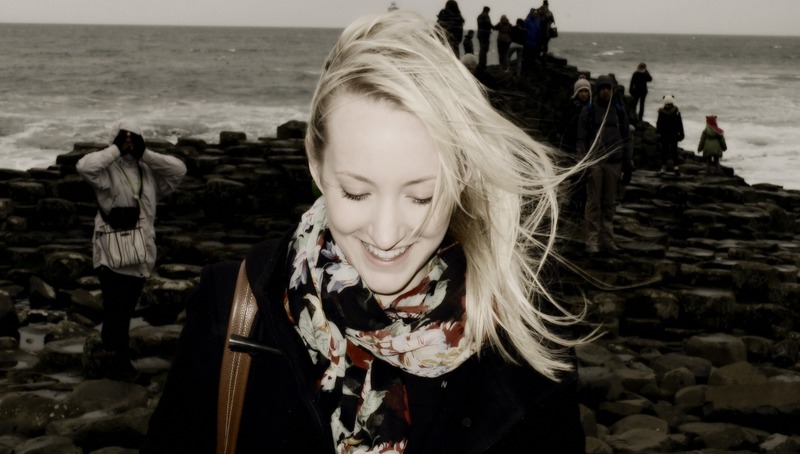 If you’re interested in architecture even a little bit, you can’t miss this one. It took around 100 years to complete, and was opened in 1601. 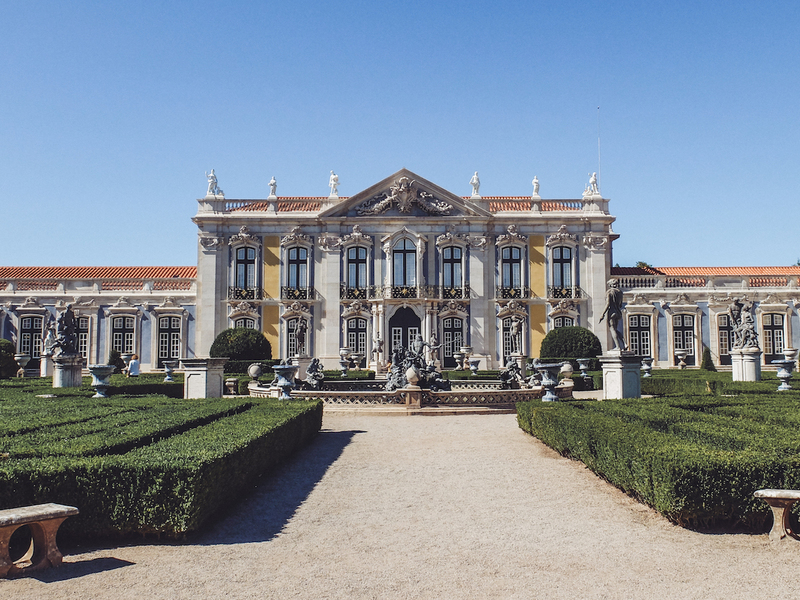 It’s located in Belém, a short distance from the centre of Lisbon, and has been a UNESCO World Heritage Site since the early 1980s. This one was recommended to me after having been to Lisbon twice and not hearing about it. 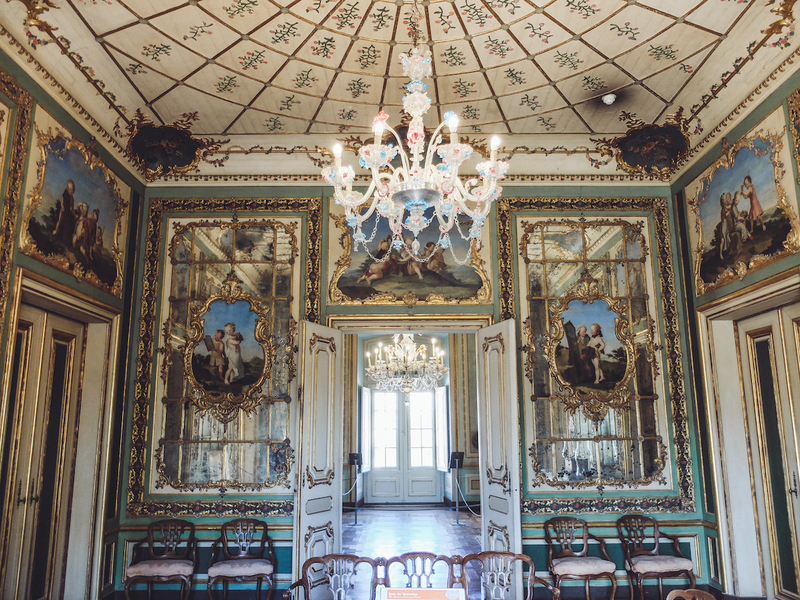 It’s a gorgeous 18th century palace in the Rococo style. 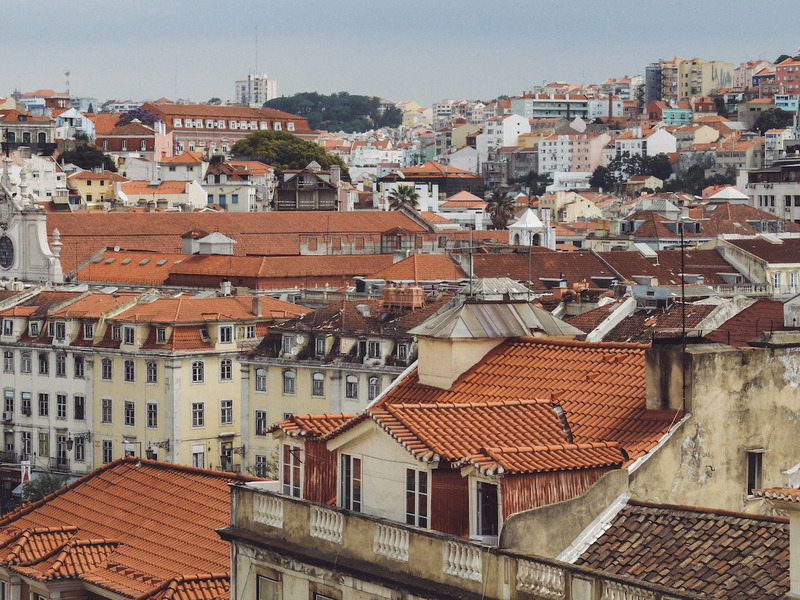 It’s quite different from the medieval buildings you’ll see in the historic centre of Lisbon. If you’re a palace person (like me) this one is definitely worth it. If you’ve got time on your trip, please allocate a day to exploring Sintra. It’s part luxury destination, part massive tourist destination. It has gorgeous castles and palaces that offer unbelievable views from all heights. 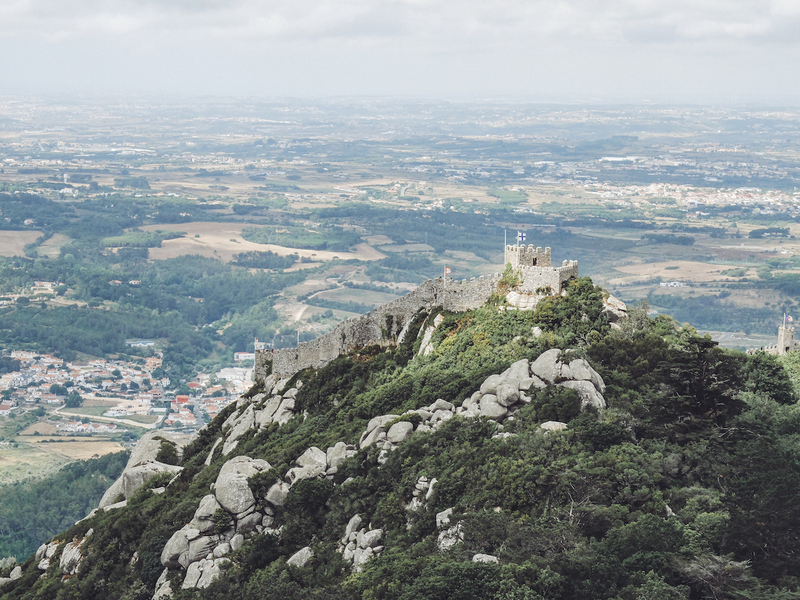 The three highlights are a Moorish Castle, Sintra National Palace, and (my favourite) Pena National Palace. You can buy tickets individually or get entry for the whole park. There are bus services that take you up the mountains and drop you off at each attraction. Make sure you have cash to buy a ticket. Note: bring layers with you, even if it’s sunny and warm when you leave Lisbon. 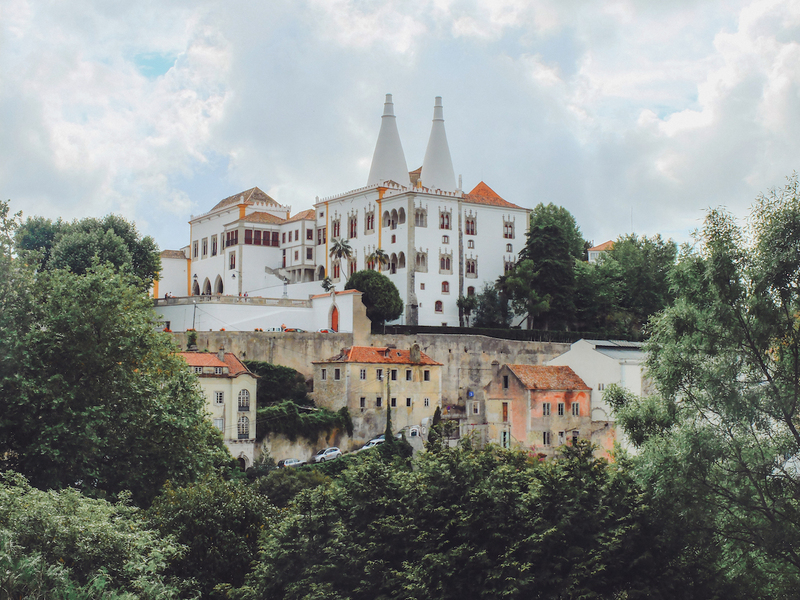 Sintra is a microclimate because of where it sits in the hills by the ocean, and the weather is often less agreeable than further inland. 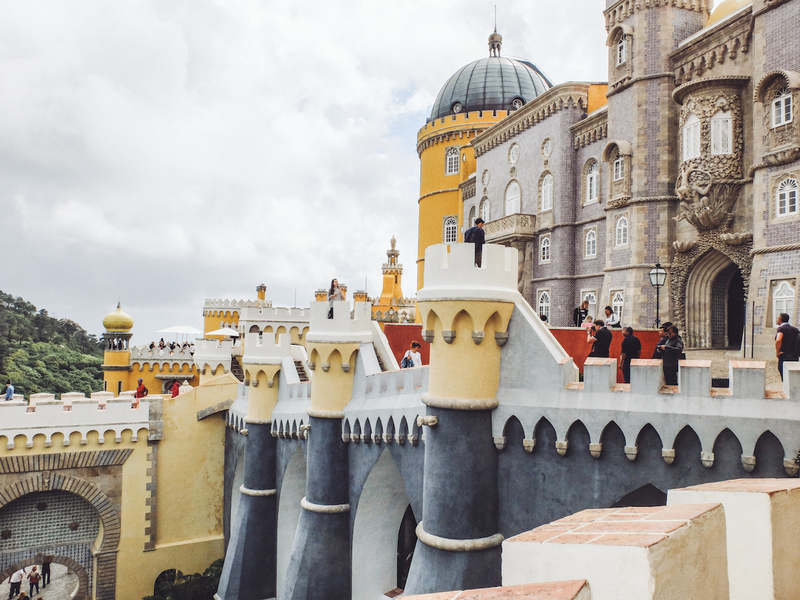 You can take a train out to Sintra on your own, which I’ve done, but many choose to do package tours to take the hassle out of the transportation. Whatever works for your schedule and budget! This is the custard tart of your dreams. You can find them everywhere in the city and they’ll all be very good. 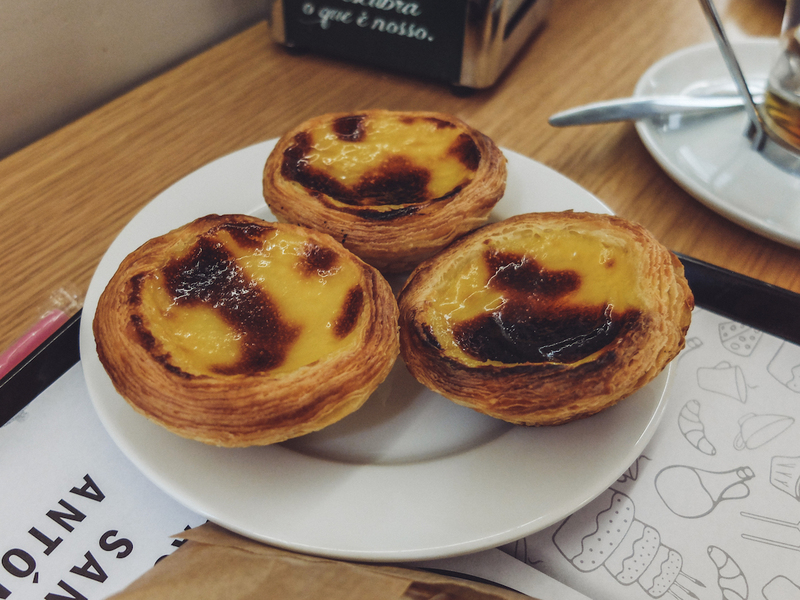 The worst kept secret is to head out to Belém on the tram and try the Pasteis de Belém. They have a secret ingredient making them slightly different (read: better) than all the rest. You’ll know you’ve arrived at the right place when you see a line outside the door! You can eat in, though it’s a bit hectic inside, or grab a few to take away. This is a great snack before or after your visit to the Monastery! This restaurant has been around since 1956, and locals agree that it has the best seafood in town. When I visited we were a large group and I was able to email ahead of time to book a table. This place is so good that people line up out the door! When you arrive you’re given number and have to wait for a table to come available. They’re open Tuesday to Sunday from 12h00 to 00h30 and are always busy. Commit to the line though, this is some of the freshest seafood you’ll have. This is a casual tapas place if you want something a bit more low-key. The tables are all shoved together but the food is great. We were so close to the date next to us that we all went on to a bar together after dinner. You should eat al fresco in Alfama at least once on your trip. Weather depending, of course. I had a restaurant I visited a few years ago ready to add to this list, but the most recent TripAdvisor reviews are a bit dismal. So, instead of directing you to a bad restaurant, what I suggest is you wander through the gorgeous little streets of Alfama and find yourself a restaurant with tables along the cobblestones, maybe under a few vines, and order something you’ve never tried before. Maybe the sardines? They’re a local favourite! 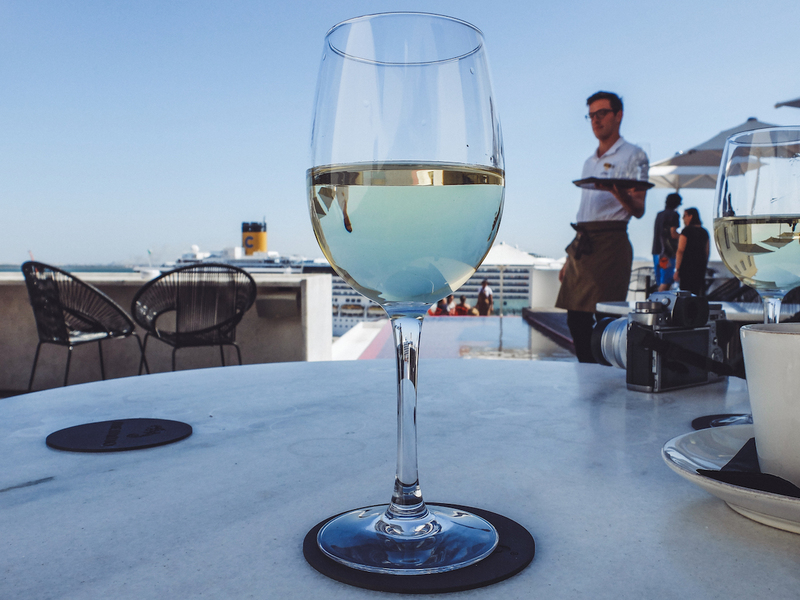 In particular, drink green wine on the terrace at the Memmo Alfama hotel bar. It’s a bit confusing to find, and you might think you’ve gone the wrong way down a small alley. Once you get to the hotel entrance, walk through the lobby to the elevator. It’s up a couple floors (I think it says which one in the elevator). There is a beautiful pool, table service, and views across Alfama and the Tagus River. 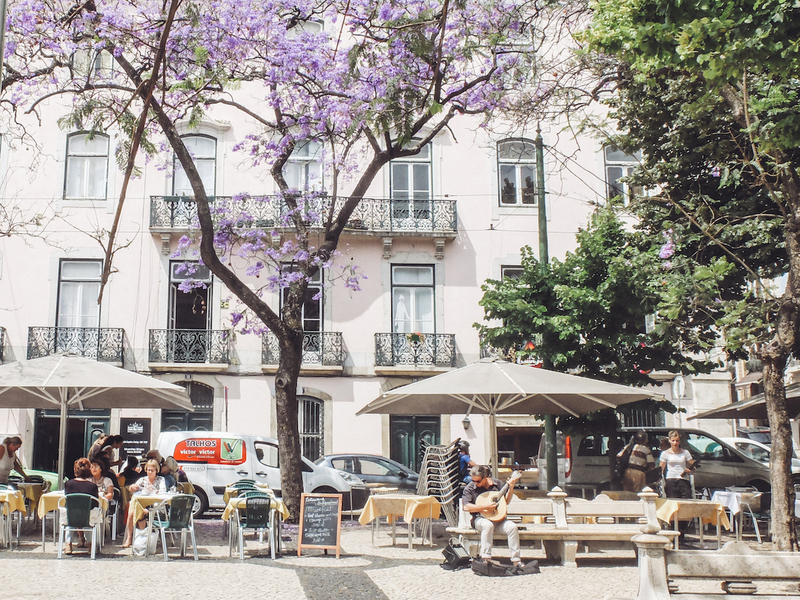 If you’re looking for a few drinks and a good vibe, Bairro Alto is the place to start. Situated on a hill just up from the river, the neighbourhood is buzzing with bars that stay open well after dark. Buy yourself a drink in a plastic up, drink half there, and the other half on the walk to your next bar! It’s legal to drink alcohol in public, so don’t worry about having a drink in hand while you bar hop. (Just don’t try to bring it in to the next bar). Who doesn’t love a secret bar with unbelievable views? You’ll feel like you’re on an episode of Made in Chelsea while you sit in comfy outdoor sofas, sipping bubbles, and watching the twinkling lights of the city as the sun goes down. As the night goes on the bar will pick up and a dance floor will emerge. Head to the very unglamorous Estacionamento Calçada do Combro and take the tiny lift up to the top floor, then follow the music.. This isn’t a photo of the view from the bar, but it’s pretty too. This bar is an old grocery store set up like a museum full of toys and kitschy items. Grab one of the snug tables if you’re looking for somewhere to rest your feet and chat. Even if you don’t stay long, it’s fun to go in and see! 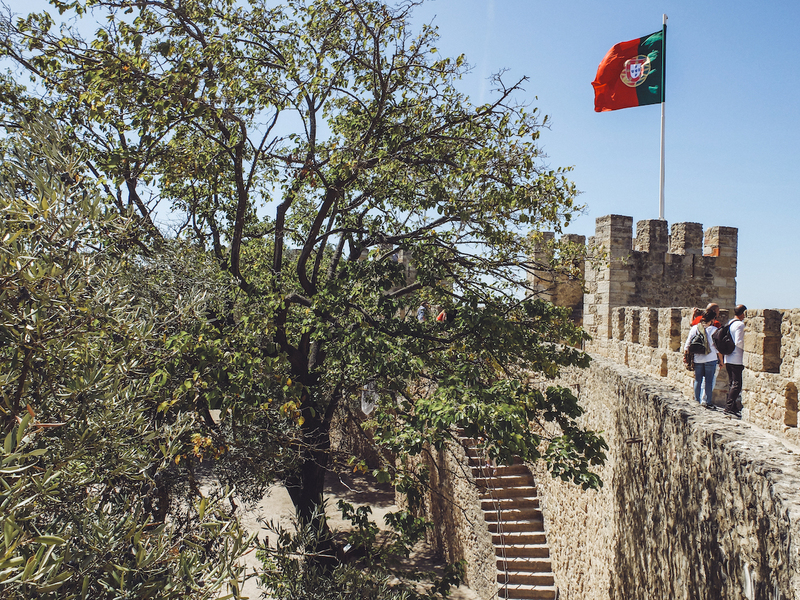 This is easily done on your way to the famous Castle of São Jorge. 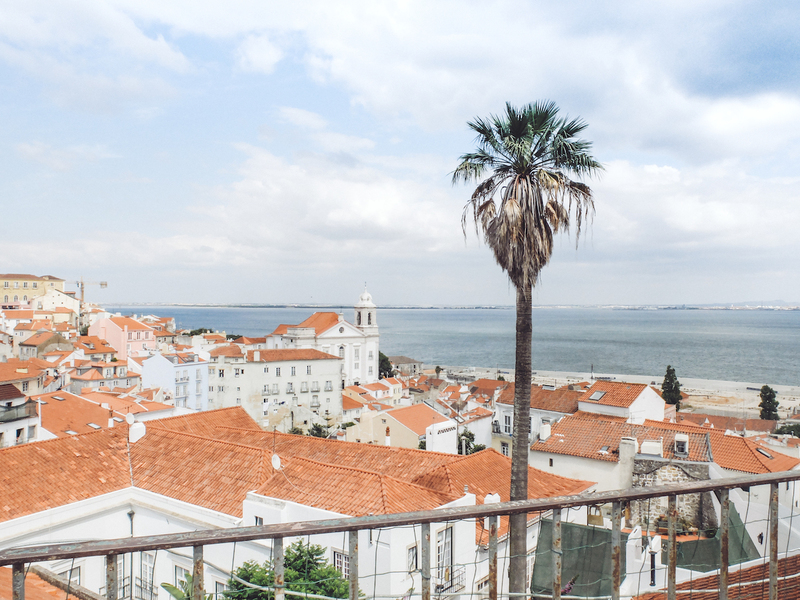 Alfama is on a large hill, so start at the base and take the longest route you can find. The roads and staircases wind all the way up to the top. There are gorgeous streets, houses, courtyards, restaurants, and viewpoints all the way along, so take your time and enjoy it. Alfama is the only part of Lisbon that survived the earthquake and subsequent tsunamis of 1755. This is the history you came to see. 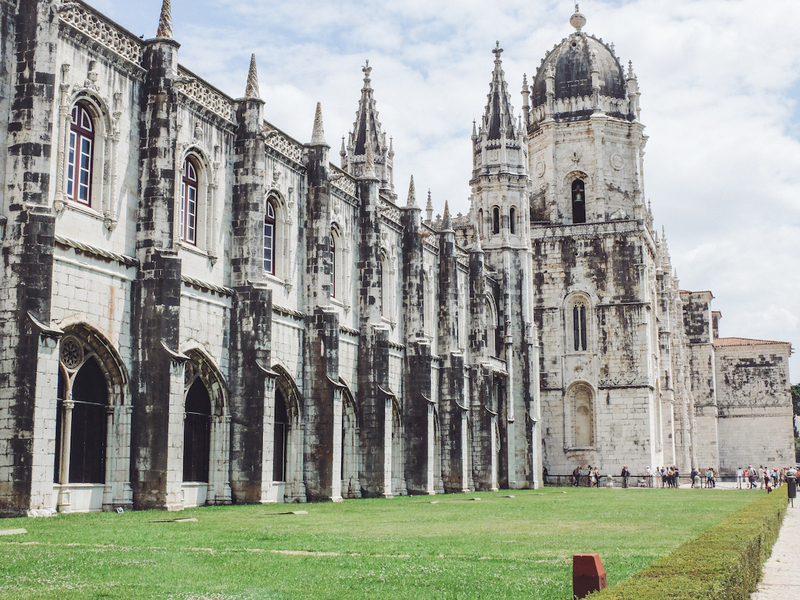 The Sé de Lisboa is a gorgeous Roman Catholic cathedral that appears out of nowhere as you turn a corner in Alfama. It dates back to the 12th century, but has been modified several times due to earthquakes, and now is a mix of many different styles of architecture. 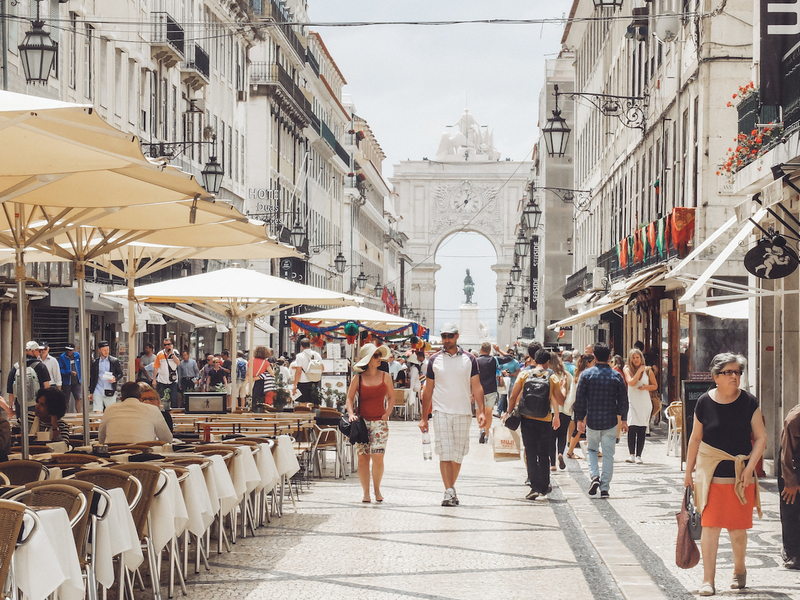 If you’re looking to shop while you’re in Lisbon, head to Rua Augusta in Baixa-Chiado. It has everything from your high street favourites to local Portuguese stores. There’s a really cool shop called Typographia (which now has locations across Spain and Portugal) that prints out t-shirts in many sizes, often with really funny or cheeky graphics. You can’t miss this one, it’s the big red bridge that looks like a mix of San Francisco’s Golden Gate and Bay Bridges. 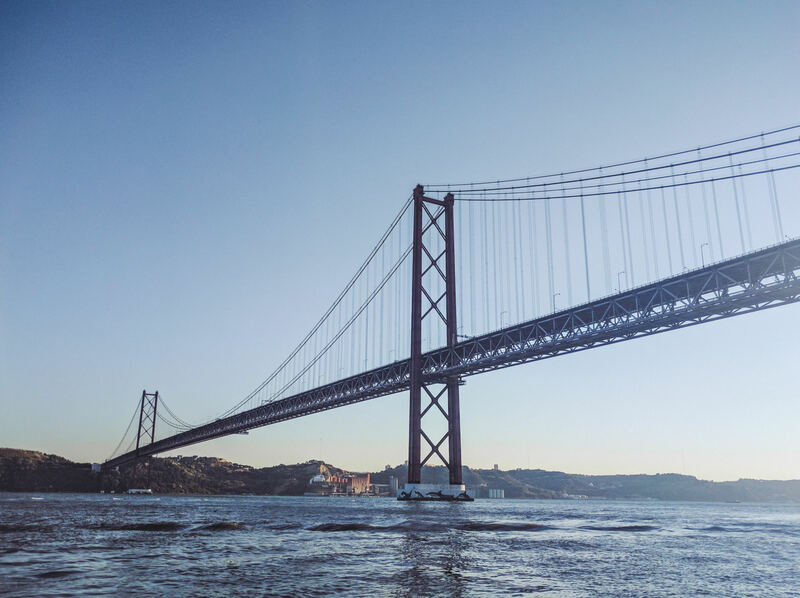 It was opened in 1966, is the longest suspension bridge in Europe, and was in fact designed by the same company that built the SF Bay Bridge. A bit of history for you: it was originally called the Salazar Bridge, after the Dictator at the time, but renamed following the revolution that took place on April 25th, 1974 to overthrow his rule. I took a walking tour on my first visit to Lisbon and ended up spending Friday evening with the group celebrating Saint Anthony’s Day (Lisbon’s municipal holiday). Walking the city is the best way to get your bearings, hear about the history from locals, and meet new people. Don’t underestimate the hills in Lisbon! They give you gorgeous views, but they also give your legs a real workout. Throughout the city there are funiculars that go up the sides of particularly steep hills. 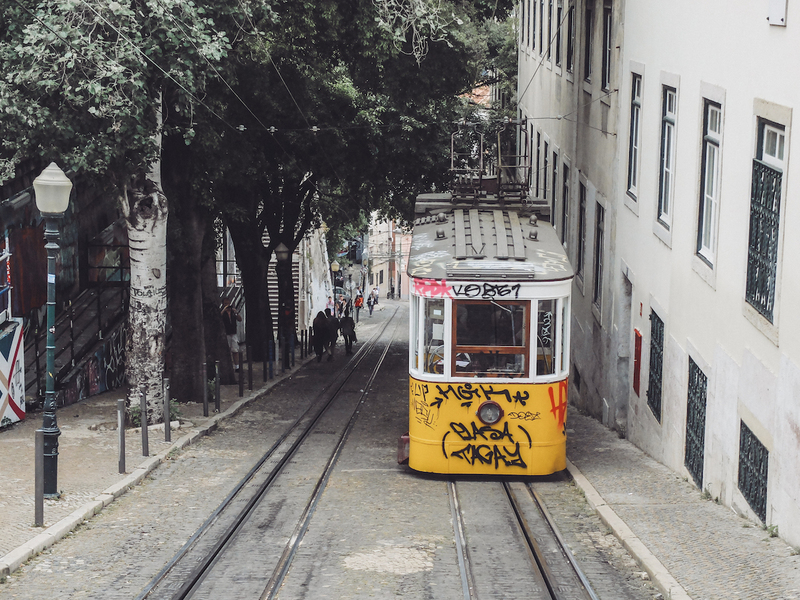 A famous one is the Elevador da Glória that will take you from downtown up to Bairro Alto. It’s a quick ride, and costs a steep €4, but is fun to do at least once. You can go both directions, but don’t waste your money going down, that’s the easy part. 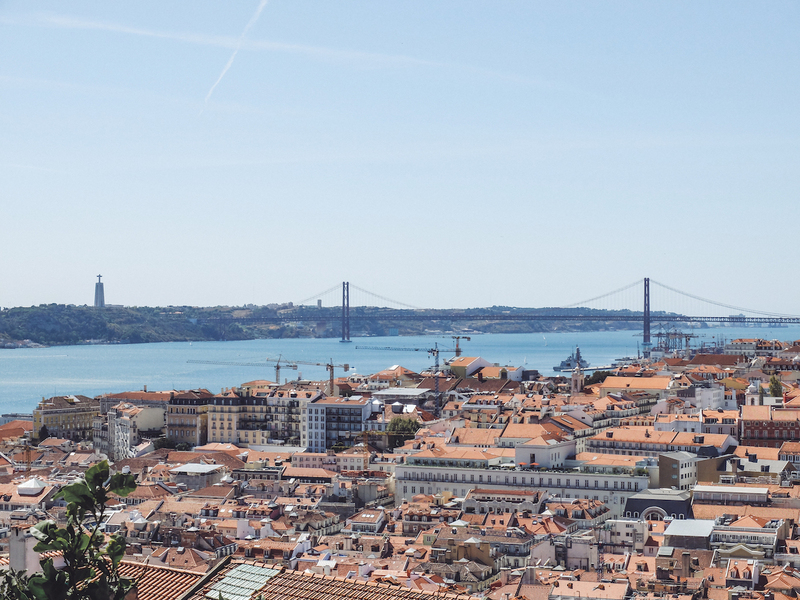 Lisbon is built on seven hills and has a million and one places to get an unbelievable view. In addition to the restaurants and bars mentioned above that have great views, here are a few of my favourite miradouros, the Portuguese term for viewpoints. 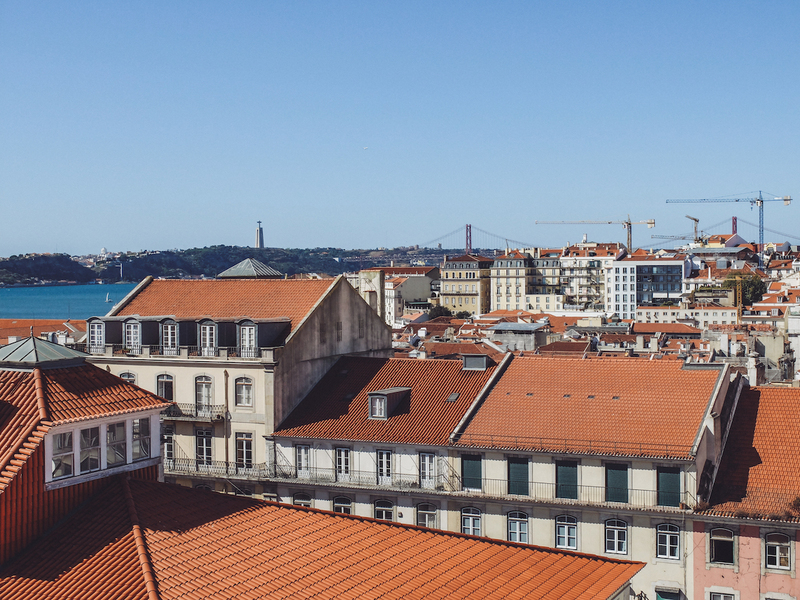 One thing to remember – never pay for a view in Lisbon. 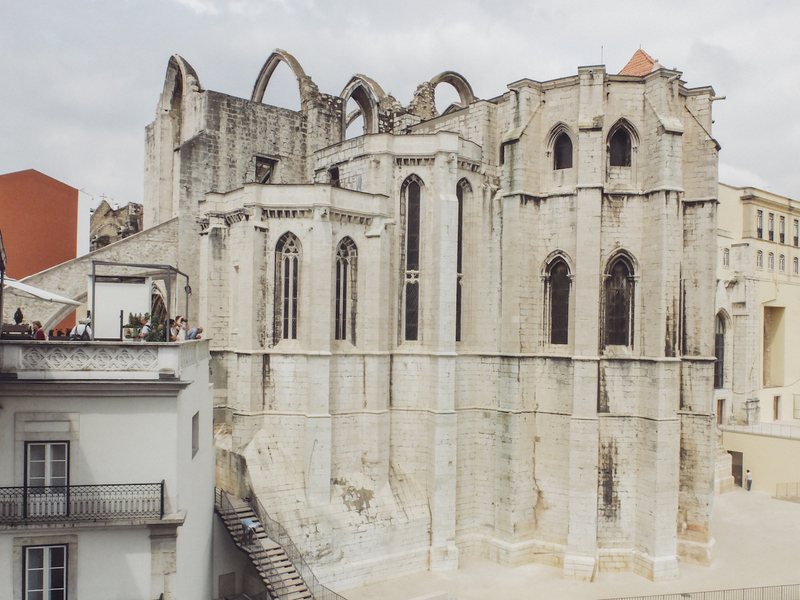 Visit the ruins of the Convento do Carmo (photo below). Walk around behind it and you’ll connect with the bottom viewing deck of the Elevador de Santa Justa. The views are just as good, don’t bother paying to go up the Lift from down below. 20. 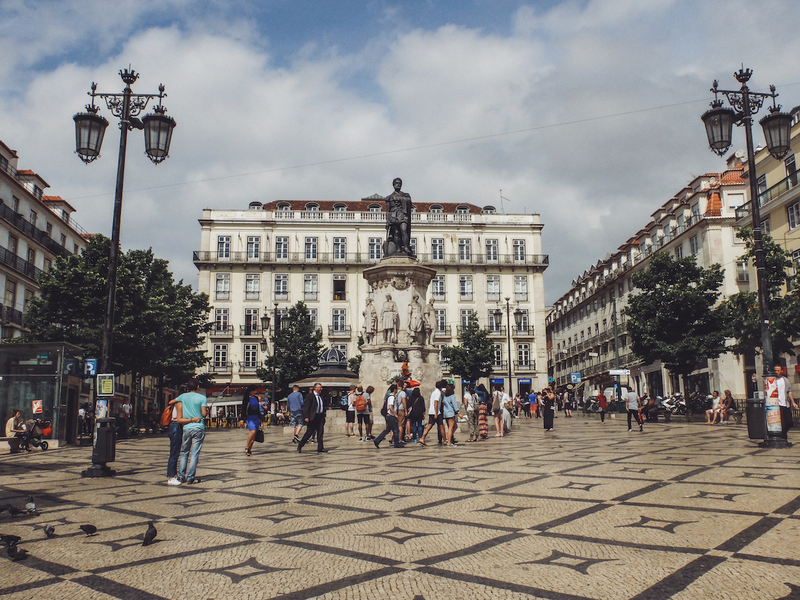 See the Squares: Lisbon is full of beautiful, historic squares like Praça do Comércio and Rossio. 21. Party on Rua Nova do Carvalho: Looking for more Lisbon nightlife? Also known as Pink Street, this is where you’ll find all the clubs, many of which used to be brothels. These places will be open until the sun comes up. 22. Listen to Fado: Fado is a melancholic style of music, traditionally Portuguese, and often sung in cafes and bars. Find a spot in Alfama for a mini concert over dinner or a drink. 23. 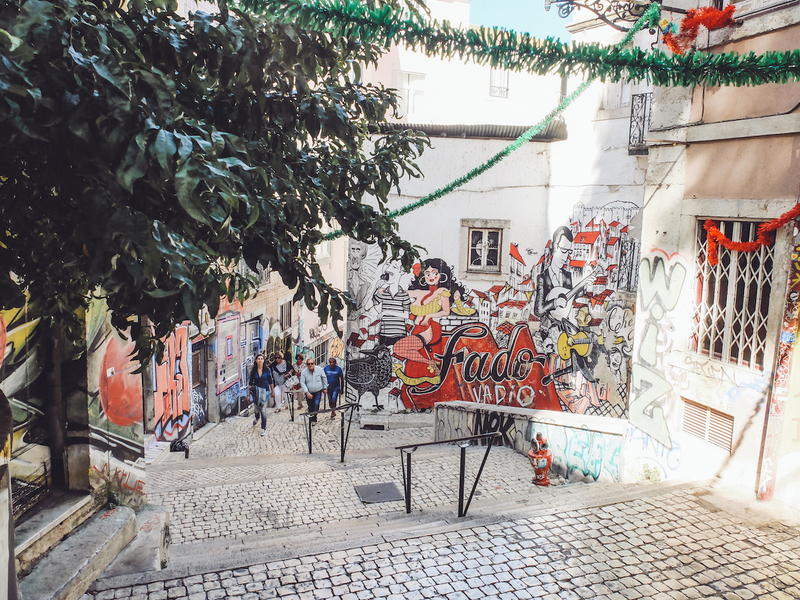 Miradouro Graffiti Fado: In Alfama you’ll find these streets filled with Fado-related graffiti. Try to visit here on a walking tour so you can get a good sense of the history of the neighbourhood. 25. 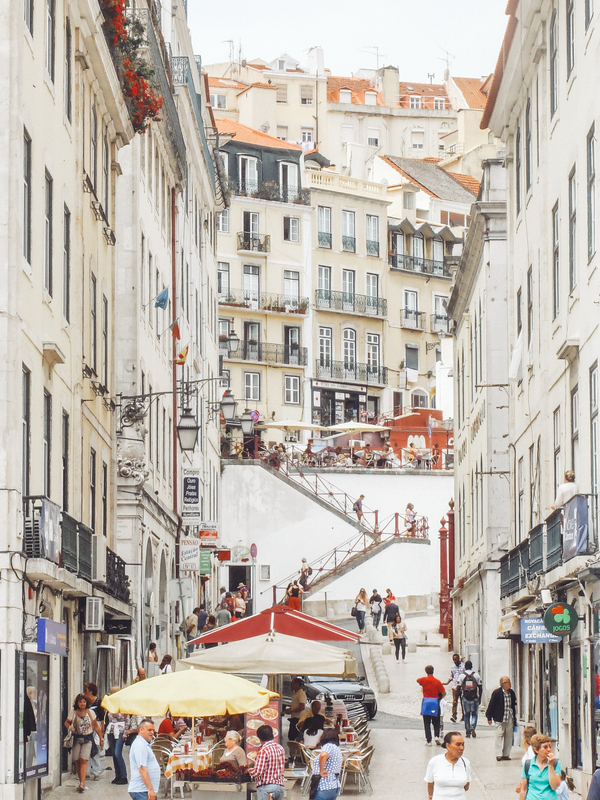 Walking: Walking around Lisbon is very achievable because the main tourist area is between 1.5-2 km end to end. Just make sure you pay attention to the hills, because a walk that might take 5 minutes on a map could end up taking you 20 mins on an incline. 26. Transportation: Look for trams and funiculars nearby that can take you up hills, and walk yourself back down. Lisbon also has a very simple underground metro that can get you around quickly. It also goes out to the airport. 27. Taxis: There are taxis available if you’d prefer to drive somewhere, and Uber is also widely used. I’d recommend using Uber because it’s so inexpensive. I mean really cheap. Most times we took an Uber across town it would cost €3-5 and to the airport was less than €10. 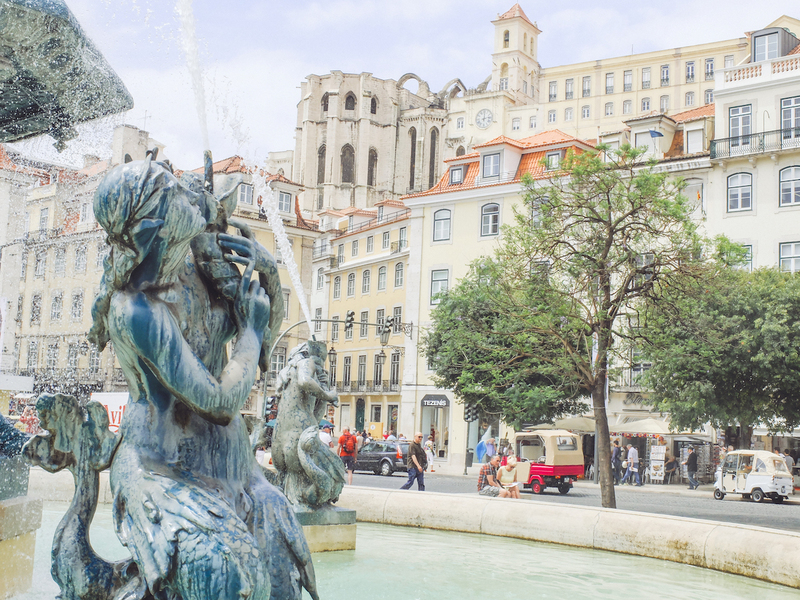 My favourite neighbourhoods are Baixa-Chiado, Rossio, and Alfama. Bairro Alto is good fun, but it might be loud if you’re trying to sleep. I’ve often stayed south of Rato close to the Jardim do Príncipe Real. The weather is very mild year round. 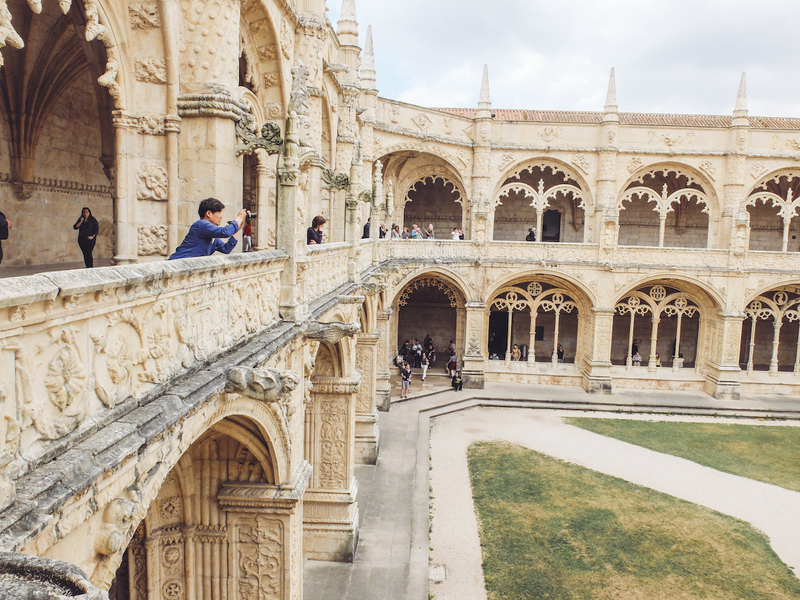 If you’re looking to visit Lisbon when it’s warm and not raining, you’ll want to book a trip between May and September. I’ve been twice in September and it was beautiful and warm. My first visit accidentally coincided with the feast of Saint Anthony, which takes place on June 13th. The city was buzzing and there were parades and parties in Alfama. If you’re looking for something extra special, head over in June to join the celebrations. Thinking about touring around the country? Why not visit Porto? we NEED to go to sintra. we spent a week in the douro and porto, and absolutely loved it. maybe a joint trip to lisbon should be next? !